All five secrets revealed on the five star pentagram in the secret room! Amazing! Happy Holidays to all and hope everyone has had a chance to read Anna’s Secret Legacy! All the best for a terrific 2011! 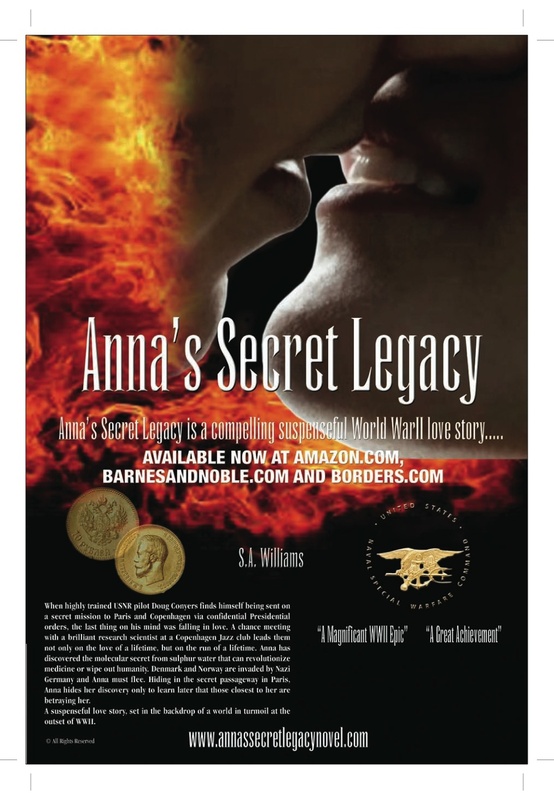 This entry was posted in Amazon, Anna's Secret Legacy, Anna's Secret Legacy Blog, Annas secret legacy novel, Barnes & Noble, Book Blog, Pilots, Pressroom and events, Scientific Discovery, spies, Travel, World War II. Bookmark the permalink.